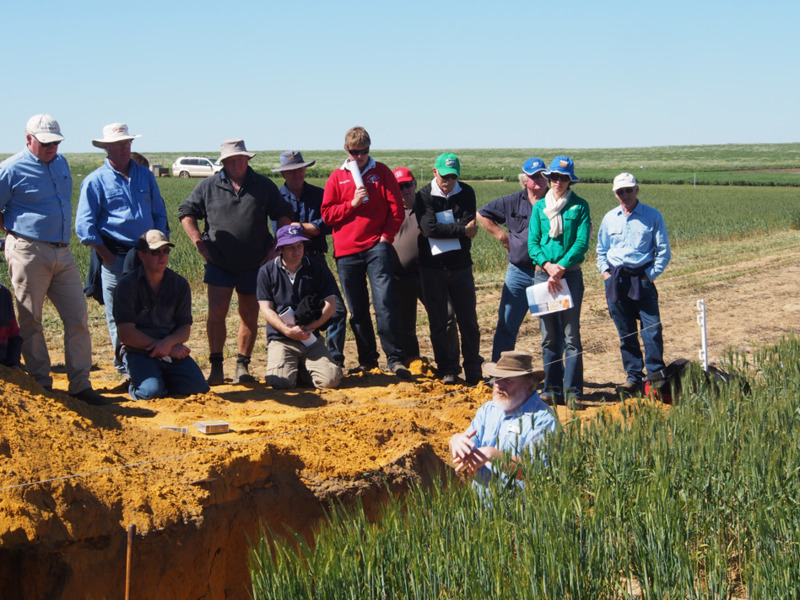 In this section you will find answers to commonly asked questions from Western Australian growers and consultants about lime, liming and soil and pH testing, as well as links to other useful information that may help to answer any other questions you may have. The answers are underpinned by commercial and on-farm experience and more than 25 years of the department's research. Which lime should I buy? The best lime is the cheapest per unit of neutralising value purchased, delivered and spread on farm. Sometimes it is better value for money to transport a higher quality product further. If you are liming to recover acidic soil, a high proportion of fine particles is important. Soil test at 0-10, 10-20 and 20-30 centimetres (cm) to determine where and at what rate you need to lime. Obtain product information sheets from suppliers (can be download from Lime WA Inc). Gather costs for lime, cartage and spreading. Use the lime comparison calculator on the Soil Quality website to compare the total cost of effective neutralising value delivered and spread on farm. What is the difference between a Lime WA Inc supplier and others? Lime WA Inc members follow the voluntary code of practice. They regularly test their product at approved laboratories and provide a standard product information sheet (see Lime WA Inc). The product information sheet openly displays the range of test results for the lime source, indicating the consistency of the product. What are the regulations governing the quality of agricultural lime? What is the difference between the different kinds of lime? Limesand, limestone and dolomitic lime (dolomite) are the most commonly used agricultural limes. They are natural, mined products comprised mostly of calcium carbonate with some magnesium carbonate. Liquid lime sources are generally micro-fine calcium carbonate in suspension. The quality and effectiveness of these limes should be considered in the same way as other agricultural limes in terms of their capacity to change soil pH. Burnt lime or quicklime is produced by heating (burning) calcium carbonate materials, such as limestone, to above 825°C, causing chemical changes and forming calcium oxide. Hydrated or slaked lime is produced by adding water to calcium oxide, forming calcium hydroxide. Calcium oxide and calcium hydroxide are not recommended for use as agricultural lime because they are difficult to handle and store. They are caustic and can burn skin if contacted and cause respiratory problems if inhaled. Burnt lime is unstable and will revert to calcium carbonate if stored where it is exposed to air. For further information see Lime sources. When would I use dolomite in preference to other limes? To raise your soil pH, you should use dolomite if it is cheaper to purchase, transport and spread on your farm an equivalent amount of effective neutralising value compared to other sources. Does the extra magnesium in dolomite cause any problems? No. Limesand and limestone are generally 1-2% magnesium and dolomite is around 10%. Is limestone better than limesand? No. The capacity to change soil pH is governed by neutralising value of any source of lime. The lime supplier should always provide product test results on neutralising value and particle size. How quickly lime can neutralise soil acidity is determined by particle size. Regardless of the source (limesand, limestone or dolomitic limestone), finer particles react quicker. For further information see Lime quality. What is the best way to rate lime quality? Neutralising value and particle size are the key indicators of lime quality. Limes with a higher neutralising value will treat more acidity in the soil and limes with a higher proportion of fine particles will treat the soil acidity quicker. Lime suppliers should provide recent product test results. Members of the Lime WA Inc group of lime suppliers adhere to the voluntary industry code of practice and provide detailed product information sheets, which are downloadable from Lime WA Inc.
How much does agricultural lime quality vary? Agricultural lime quality as measured by neutralising value and particle size can vary a lot between sources. The consistency of the product from individual suppliers can also vary as they are natural products. An indication of the variability can be gained from the range of previous tests presented on Lime WA Inc members’ product information sheets. How much difference is there in buying wet lime compared to dry lime? It can make a large difference. Water will add to the weight without adding any neutralising value. Most people buy lime after harvest and before seeding when it is most likely to be drier. How can I test the neutralising value of my lime? Neutralising value of lime can only be accurately tested in a laboratory. Lime WA Inc suppliers use either ChemCentre in Bentley, WA or Agrifood Technology in Bibra Lake, WA. Is it calcium or carbonate that does the work? Definitely the carbonate. Essentially, the carbonate (CO32-) from the calcium carbonate (CaCO3) (lime) reacts with the acid in the soil (H+) to give carbon dioxide (CO2) and water (H2O). If you add agricultural lime to vinegar (weak acid but stronger than the acidity of your soil) it will react and fizz to give carbon dioxide (the bubbles), water and calcium ions. This is really just a faster version of what happens in the soil. Can I store lime in the paddock? Yes, if you need to. It is best to get the lime spread as soon as possible but if it is necessary to store it in the paddock, coating with a 1:5 mixture of ammonium fertiliser dissolved in water via a fire-fighting rig to form a protective crust should prevent erosion of the fine particles (Penny and Gartner 2002). Commercial coating agents are also available.